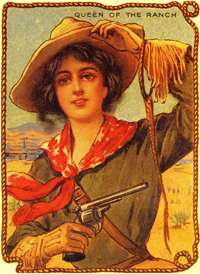 We offer the finest in ladies accessories for every use. 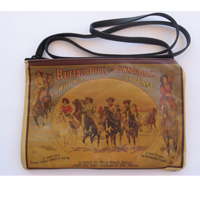 Cowgirl Classics is a fabulous collection of fun Vintage American handmade purses and pillows. 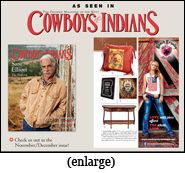 There is a wide assortment of styles, images and colors available in our inventory. We have been supplying other high quality accessories to gift shops across the U.S. and we are pleased to offer this new collection. Memberships include The Billings Market Association, Dude Ranchers' Association and The Western and English Sales Association. We have been featured at numerous shows from coast to coast. We look forward to helping you make selections in our wide array of styles. Large enough to serve you, small enough to know you!